Tue., Aug. 30, 2011, 5:35 p.m.
A 21-year-old man escaped a work release program recently after police interviewed him about a series of vehicle thefts in North Idaho. Crime Stoppers is offering a reward for tips that lead to the arrest of William V. Woods, who left the Brownstone Work Release Program while serving a sentence for third-degree assault, according to a news release. He faces charges of possession of a stolen motor vehicle and two counts of first-degree possession of stolen property for the theft of two cargo trailers and a truck in North Idaho, in addition to a fresh count of escape from community custody. 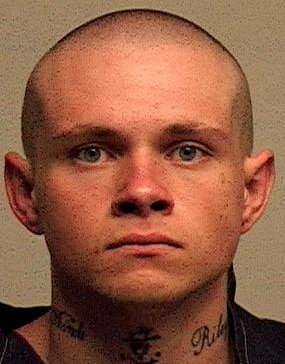 Woods, 5-foot-7 and 170 pounds, is a transient with a previous felony conviction for second-degree theft. Anyone with information on his current location is asked to call Crime Stoppers at 1-800-222-TIPS or submit tips online. Tipsters do not have to give their name to collect a reward but should leave a code name or number.